Developer Omega Force is switching things up for the next entry in the Dynasty Warriors franchise by moving to an open-world game structure, publisher Koei Tecmo announced today. 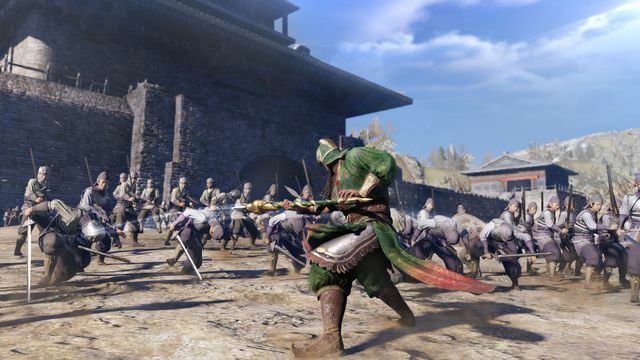 Dynasty Warriors 9, which is coming to PlayStation 4, is the franchise’s “most ambitious entry to date,” according to the company. Setting out to complete various objectives, players will utilize an unprecedented world map to navigate and traverse a variety of different landscapes ranging from vast plains to snow-covered peaks presented with dynamic day/night and weather cycles. Exploring these impressive environments is made more engaging through the ability to adapt to surroundings to gain an upper hand in battle, with players able to use equipment to circumvent obstacles or blend in to avoid conflict. The new Dynasty Warriors doesn’t have a release date yet. “Platforms, release timing, and more information on the game’s new features, characters, and narrative will be unveiled in the coming months,” Koei Tecmo said in a release.